Hardship and danger can deter some people. 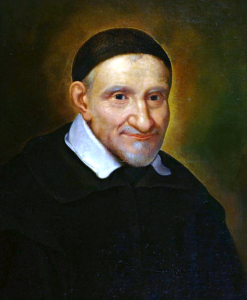 But for St. Marguerite Bourgeoys, hardship and danger gave rise to an active and purposeful life. 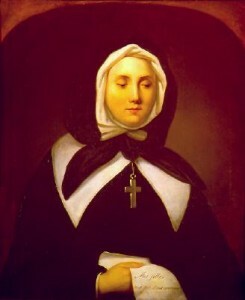 Born in France in 1620 into a family with 12 children, Marguerite took care of many of her brothers and sisters after her mother died when Marguerite was 19. After they were older and could care for themselves, she became involved in charitable work. The governor of Montreal, Canada, traveled to France looking for teachers willing to come to the New World. Marguerite decided to go to New France. Once there, she oversaw the construction of a chapel. Living in the Canadian wilderness meant hardship and danger. These challenges inspired Marguerite. She chose to serve the Native Americans and the settlers. Marguerite went to the governor of Ville Marie (Montreal) and convinced him to let her open a school. When Marguerite first arrived in Ville Marie, there were no children to teach, and she realized that children did not live to an age old enough for school. So she went to work in the hospital. She aided Jeanne Mance, who ran the hospital, in helping children to survive in the harsh New World. She made several trips back to France to recruit more teachers, and these women joined her in the Congregation of Notre Dame. Eventually some Canadian women joined the new religious order. The Congregation of Notre Dame remains an active teaching order. It was one of the very first of its kind for women. 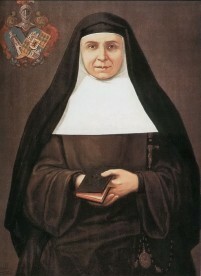 St. Marguerite died in 1700 and was canonized in 1982 as Canada’s first female saint.